Using a highly efficient evaporator head technology and an innovative manifold design, which directly injects heated nitrogen into each well of two 96-well microplate simultaneously, the MiniVap Gemini enables researchers to remove the traditional laboratory ‘bottleneck’ of solvent evaporation from microplates prior to analysis or reconstitution in buffer. The productive MiniVap™ Gemini has been designed to accommodate any ANSI / SLAS footprint 96-well microplate up to 60mm high. 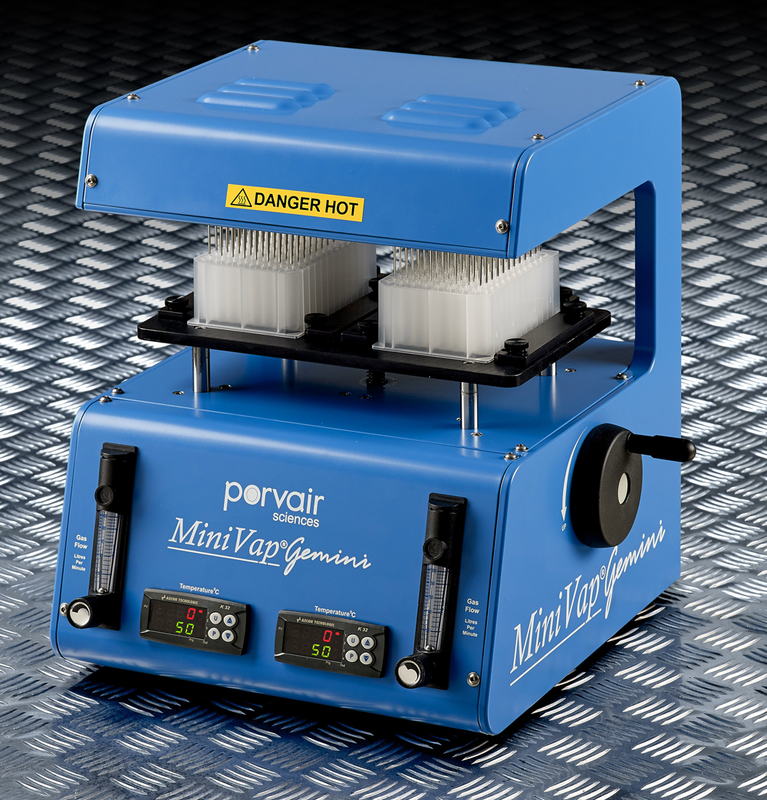 The MiniVap™ Gemini has been designed to be simple to operate and maintain. Installation requires only connection to a gas supply and standard mains socket. With manual control of the needle depth, gas temperature and flow rate, the MiniVap™ Gemini delivers fine control and quicker drying times than other standard evaporation methods. Safety of operation is ensured as the CE marked compact unit fits into all fume cupboards.